Example 3 The town newspaper is published every day. One copy has 12 pages. 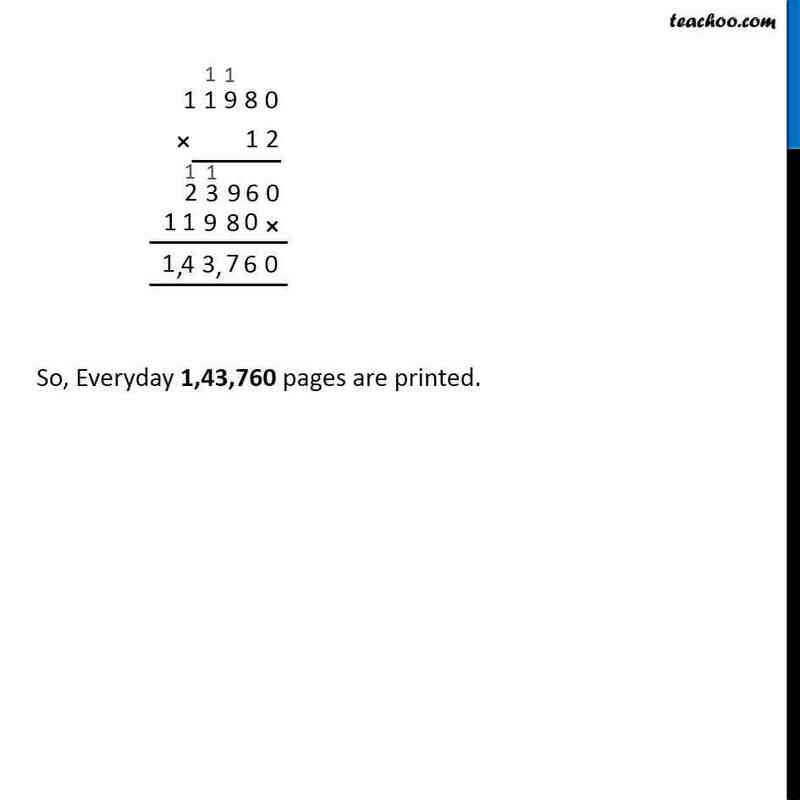 Everyday 11,980 copies are printed. 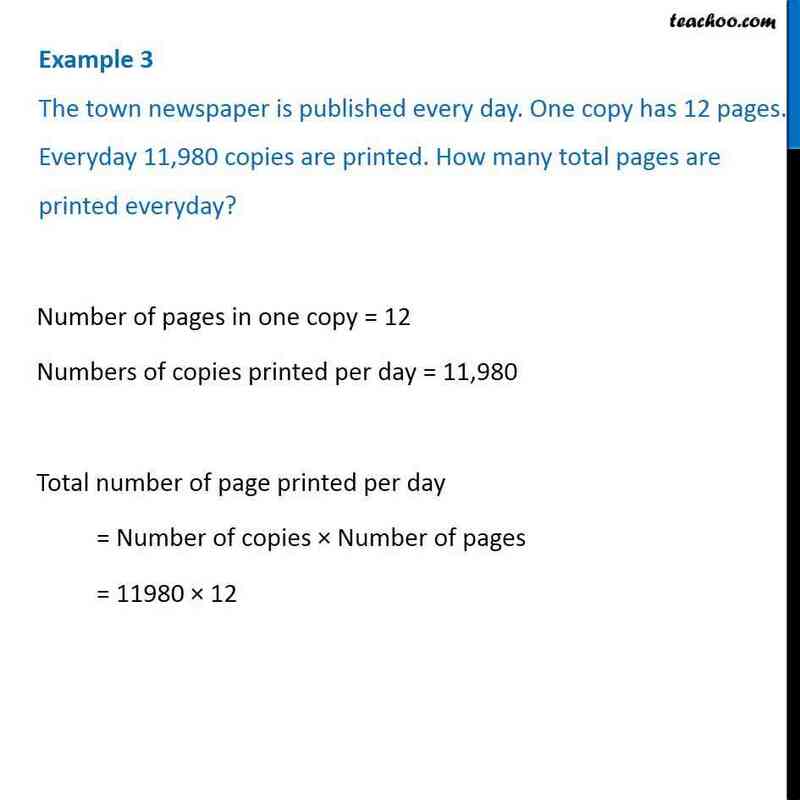 How many total pages are printed everyday?Number of pages in one copy = 12 Numbers of copies printed per day = 11,980 Total number of page printed per day = Number of copies × Number of pages = 11980 × 12 So, Everyday 1,43,760 pages are printed.